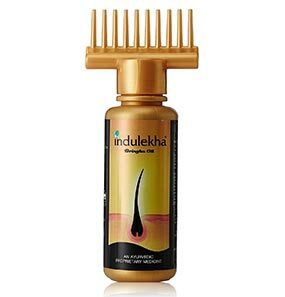 Khadi Natural Amla & Bhringraj Shampoo follows a triple action plan that promotes a healthy scalp, strengthens the hair roots, and deep conditions the hair. It prevents hair fall and promotes hair growth the natural way, and the new hair is much stronger and healthier. 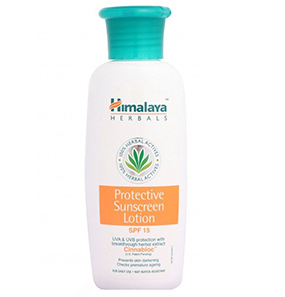 It is free of SLS and parabens and is infused with the extracts of Amla, Reetha, Bhringraj, Haritaki, Henna, and Neem. 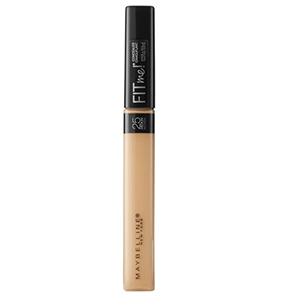 It comes in a black bottle with an open flip cap that shuts securely tight with a click. 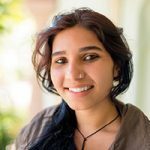 How to use Khadi Natural Amla & Bhringraj Shampoo? 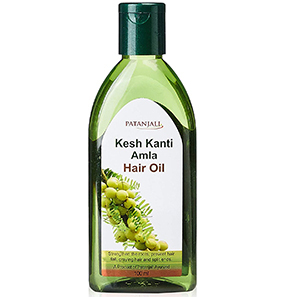 Does Khadi Natural Amla & Bhringraj Shampoo have any side effects? 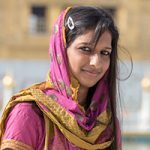 Is Khadi Natural Amla & Bhringraj Shampoo suitable for dry hair? Can this shampoo be used for 4c hair type? Does this shampoo remove all the oil from the scalp and the hair? I have long black hair and to get that, it took me years of patience. So, I treasure it with my heart, and I make sure that I know all about what I use on it. Lately, I have been experiencing hair fall like never before. To cope with it, I purchased Khadi Natural Amla & Bhringraj Shampoo three weeks back. The packaging is classic and straightforward. It comes in a bottle which looks black, but actually it’s transparent. Because of the dark green texture of the shampoo, the bottle looks black. The consistency is lightly creamy, and a little goes a long way. The smell is quite unappealing as it is a herbal product. It smells like hair oil, but it stays for just 2/3 hours, so it is not a major problem. Right after the first few washes, I felt the difference. Not in my hair fall but in the texture of my hair. It looks more jet black for some reason, and the way my hair is shining is what I like about this shampoo. I feel like my hair’s health has drastically improved. The changes in hair fall came later in the second week. IT WORKED! I love this shampoo as it is benefitting me. I am going to continue using it and will stick to it for a while. 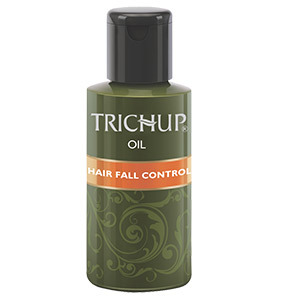 This product claims to reduce hair fall and promote hair growth. It has other many benefits, but these two stood out for me because that was the major issue I was suffering from. 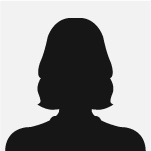 The problem was with the hard water – it deteriorated my hair quality. What I needed was a chemical-free product to take care of my hair. 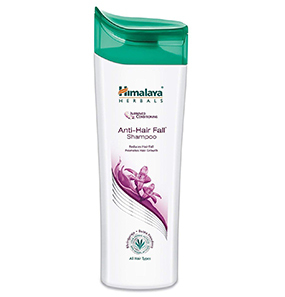 I found exactly what I wanted in Khadi Natural Amla & Bhringraj Shampoo. 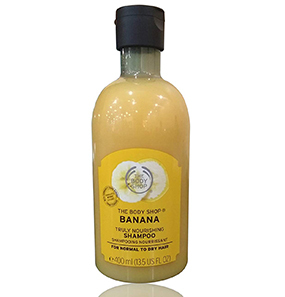 This organic shampoo is SLS and Paraben free and also has no sign of silicon. Isn’t that wonderful? 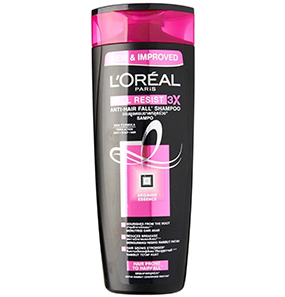 After I started using this shampoo, the changes were visible, starting with my hair feeling clean for three days straight. My hair feels luscious and well protected. It is a shampoo to look out for. 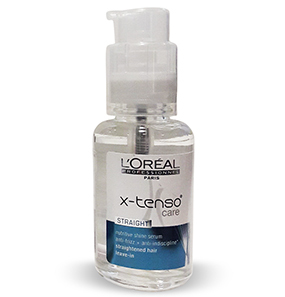 This shampoo nourishes my scalp and has visibly strengthened the roots, resulting in control over my hair fall. 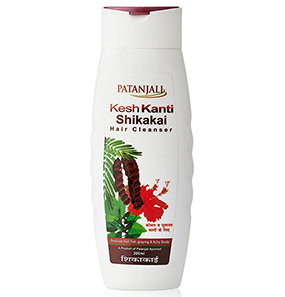 This shampoo is enriched with reetha which is known to promote lustrous hair. The way my hair looks and feels is amazing! I am impressed with this shampoo. If I were to choose between other chemically treated shampoos and this organic shampoo, I am certain that, any day, I will choose this. I have heard very highly of this shampoo, so I decided to try it out myself. Was expecting this shampoo to work the same on me, but the truth is, it made my hair frizzy. To add to that, this shampoo doesn’t create enough lather, so I don’t feel like I shampooed my hair. Thought it has so many excellent properties and is all natural, I am not going to use it again. I was expecting this product to do magic on my hair. But it didn’t work like I expected it to. I had a hunch from the first use itself. I didn’t mind the smell as it is an organic shampoo, but the texture of it is what turned me off. I had to use it twice to feel its presence on my scalp and hair. Also, it made my scalp very dry. I don’t understand why this shampoo didn’t work on me when it has positive results on so many people. 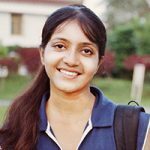 Emblica Officinalis (Amla), Eclipta Prostrata (Bhringraj), Acacia Concinna (Shikakai), Honey, Aloe Barbadensis (Aloe Vera), Vanilla Extract, Trigonella Foenum-graecum (Methi), Cyperus Scariosus (Nagarmotha), Sapindus Mukorossi (Reetha), Nardostachys Jatamansi (Jatamansi), Cleanser Base. Step 1: Take shampoo according to hair length. Step 2: Apply to wet scalp and start massaging. Step 3: Lather and leave for 5-10 minutes. Step 4: Rinse and repeat, if required. 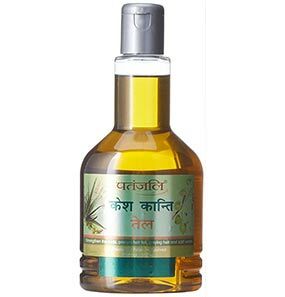 No, Khadi shampoos are organic and infused with the goodness of natural herbs, so it has no side effects. In rare cases, you might experience frizziness, but that’s about it. No, it dries the scalp and makes the hair frizzy. Dry hair has to follow up with a conditioner. 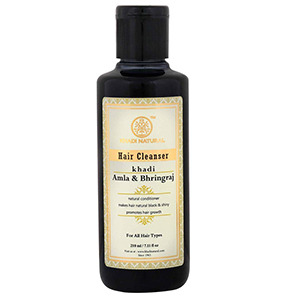 Yes, Khadi Natural Amla & Bhringraj Shampoo can be used for 4c hair type. But an increase in the quantity will be required. Two times of wash might be required depending on the volume of your hair. If you have dry 4c hair, you can skip this shampoo. Yes, this shampoo cleanses all the oil there is but at the same time maintaining the moisture of the scalp. No, it is an organic herbal shampoo that is free of SLS, Parabens, and also Silicon.